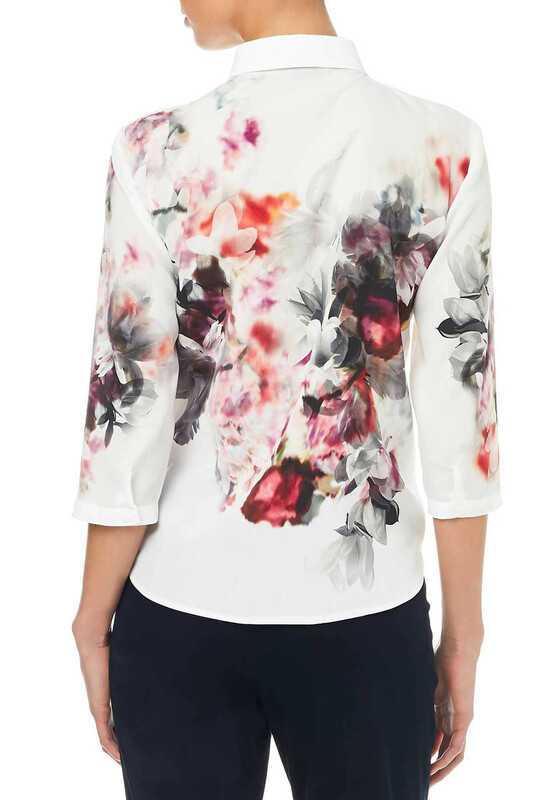 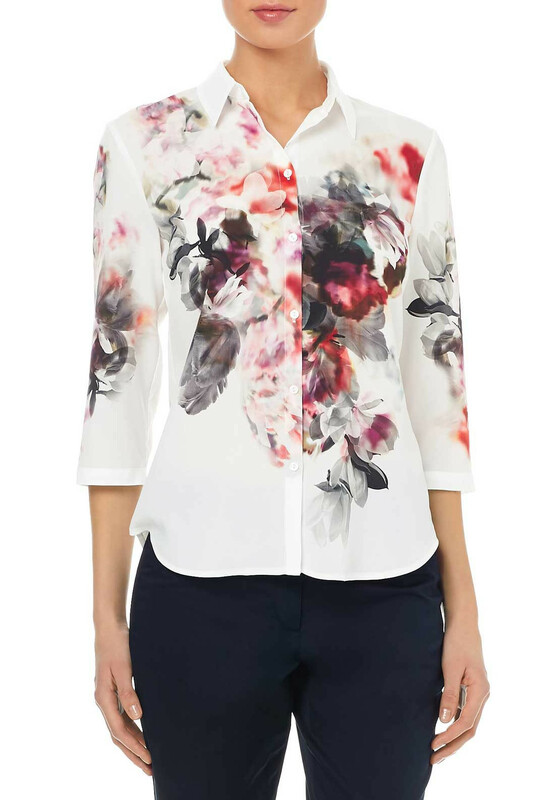 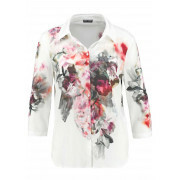 A charming elegant piece from Gerry Weber that would finish off your outfit. 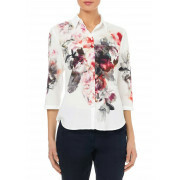 Carry this blouse to winter by adding some black trousers. 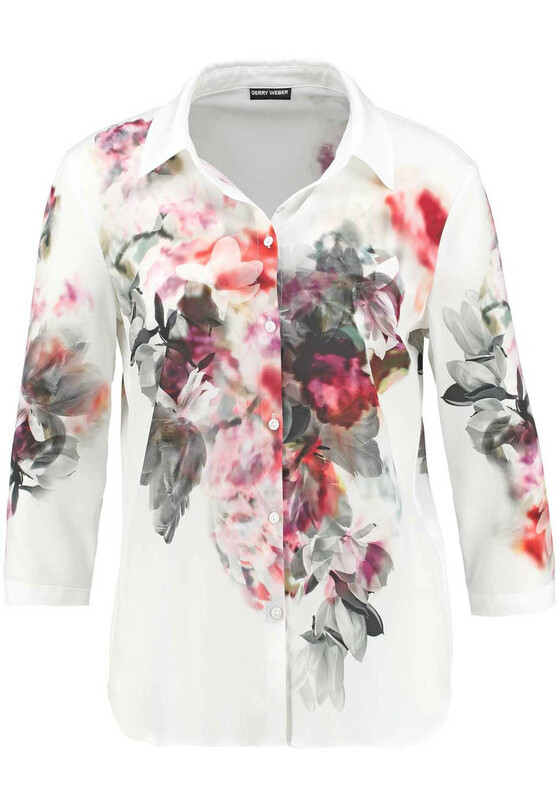 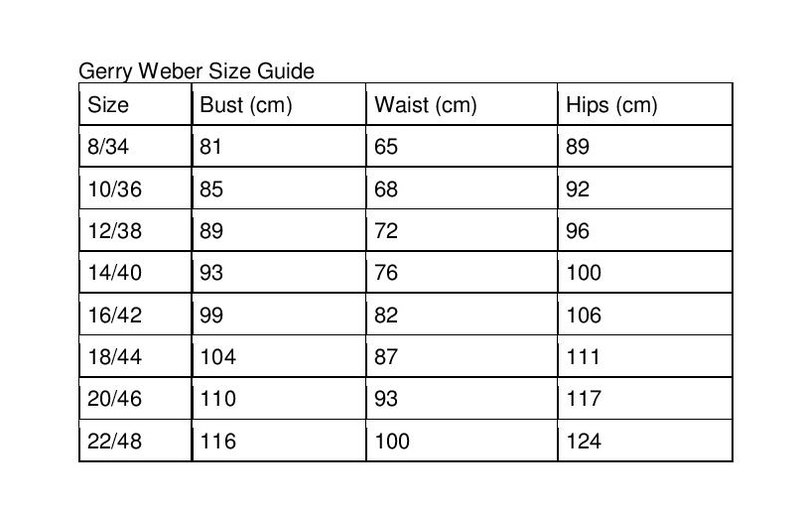 Made from a light weight chiffon fabric with a high neck and buttons down the front panel. 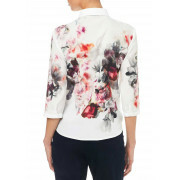 Designed with a figure skimming casual fit with three quarter length sleeves and a fold down collar.